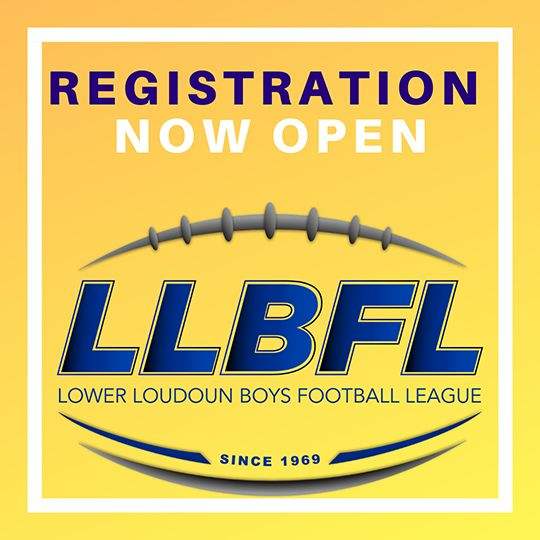 Welcome to Lower Loudoun Boys Football League home on the web! 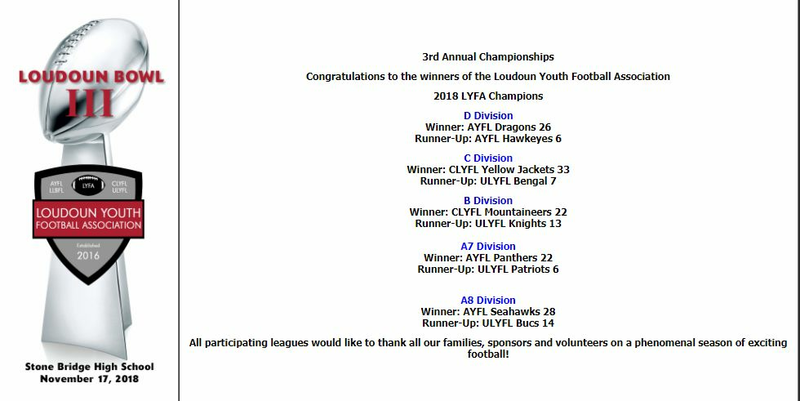 OUR MISSION: The Lower Loudoun Boy’s Football League using the sport of football as the vehicle, shall establish and maintain the environment necessary to perpetuate the ideals of good sportsmanship, honesty, loyalty, courage, reverence, self discipline and the respect for others, in the youth of the local communities. The objective is to develop stronger, happier and well adjusted youth who will grow to be healthy, trustworthy and contributors to our society. LLBFL MTC Clinic #2 - Rescheduled Date! In partnership with LLBFL, More than Cheer will be offering 5 FREE clinics for current and future LLBFL cheerleaders. 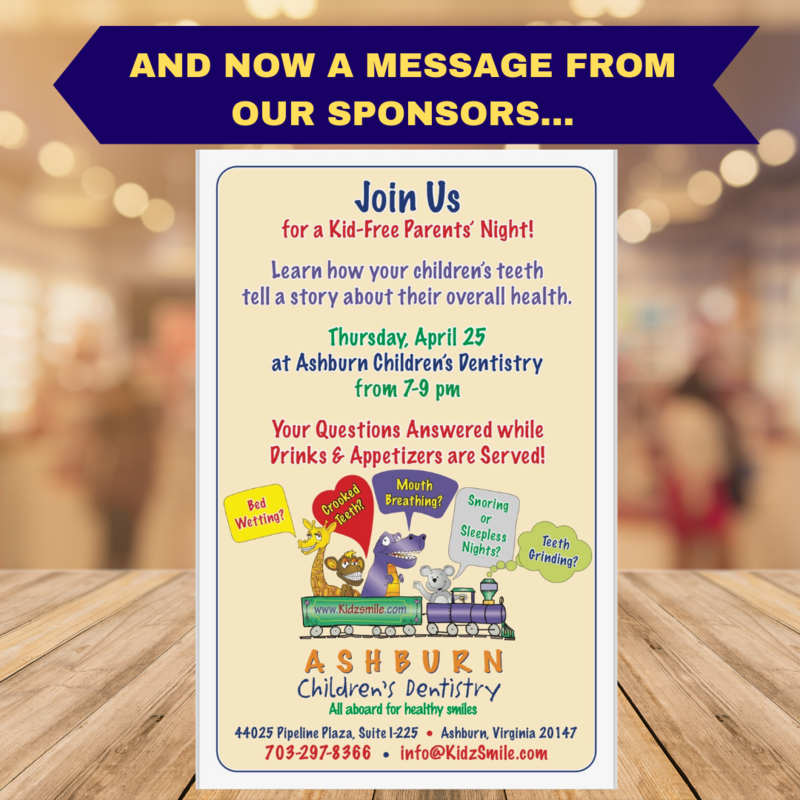 All clinics will be held at their gym/facility in Ashburn (address - 44200 Waxpool Road #147 Ashburn, VA 20147). 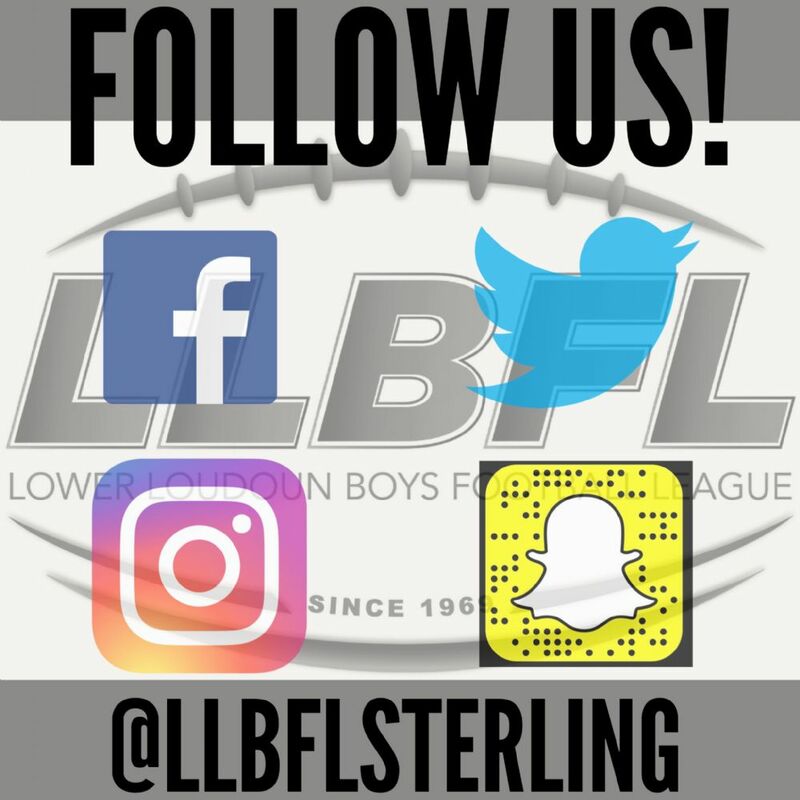 LLBFL will also have registration tables set up at each More than Cheer clinic. The second clinic has been rescheduled for FRIDAY APRIL 26th from 5-6:30pm**. Our 2nd Skills Clinic of the year is just 2 weeks away!! 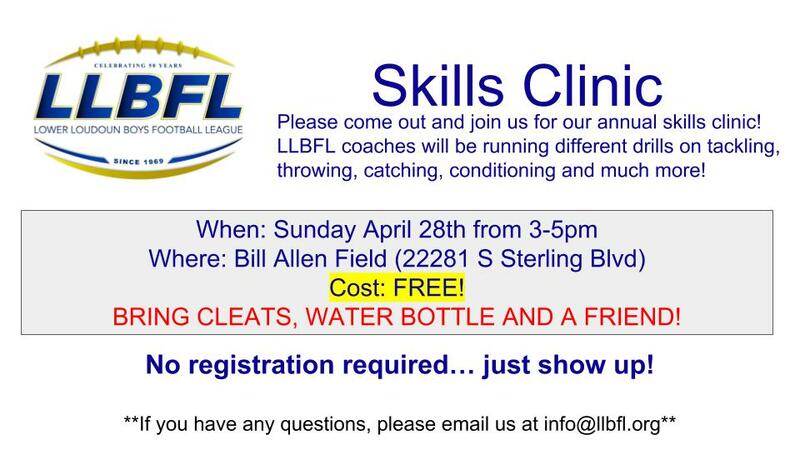 This is a clinic completely run by LLBFL coaches. 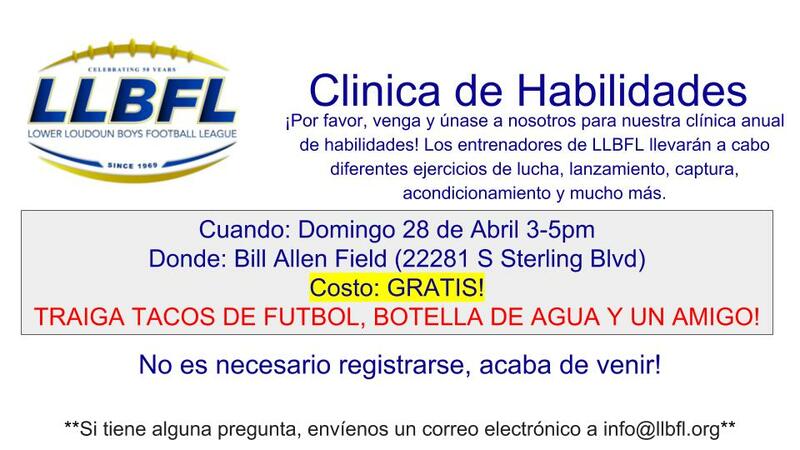 This clinic is for ANY football player, regardless of experience or affiliation with LLBFL. Did we mention that it's FREE?! Bring a friend and come out and join us! We will have registration tables set up at the clinic. Thank you to all who showed up to our 1st Skills Clinic of the year last Sunday! To those who missed it, we will be having another Skills Clinic on SUNDAY APRIL 28th from 3-5pm at Bill Allen Field. LLBFL is excited to announce that we are hosting the new Under Armour "Under The Lights" Flag Football league here at Bill Allen Field. The league commissioners are Darrell Jackson and April Taylor, who are members of the LLBFL family. All games will be held at Bill Allen Field on Friday nights. The season will run from April to June. If you would like to register to play, please visit http://bit.ly/UAFlagSterling. 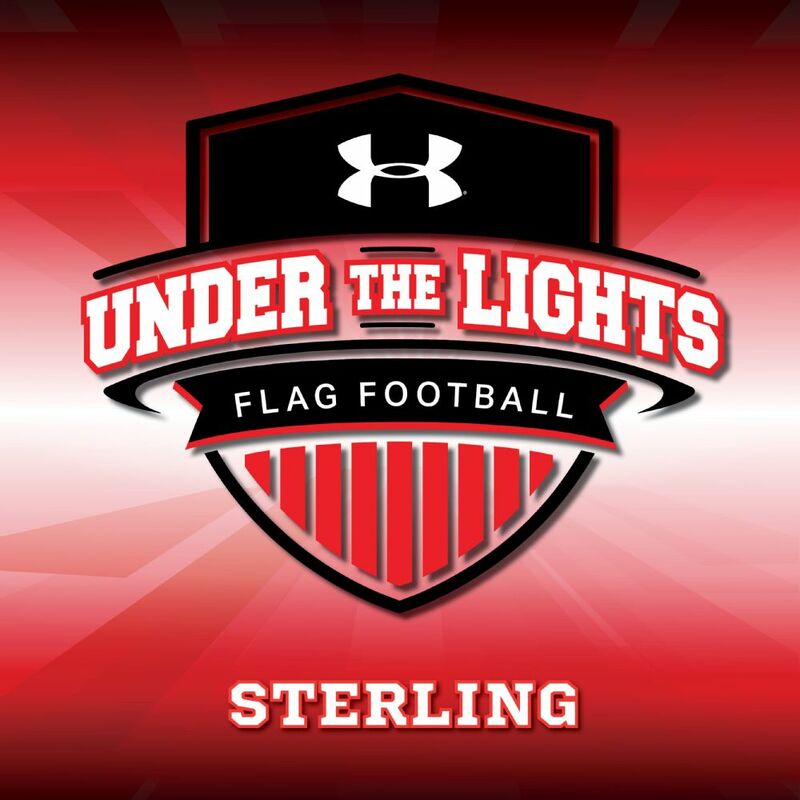 Follow Under Armour “Under the Lights” Flag Football League STERLING on all social media platforms! 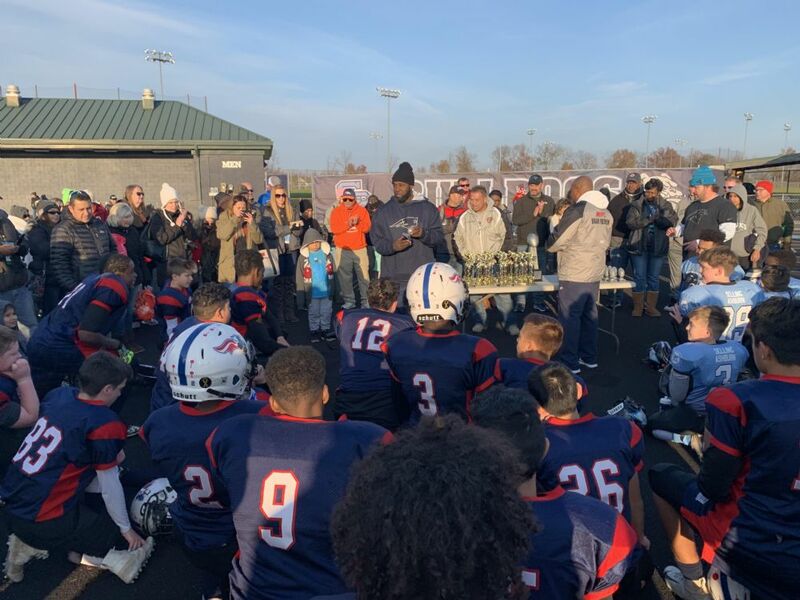 Sadly, the LLBFL A7 Patriots lost 22-6 to the AYFL Panthers. It was a VERY hard fought game all the way to the last seconds. We could not be more proud of these boys for representing Sterling today. Keep your head up boys! See you all next year!